As you can see from the image on the left, there’s two types of mindsets. Click image to open in a larger view so you can read it. When we begin to believe lies told to us about ourselves we begin to believe those lies as truths. Then, we become mad at the world blaming everyone and everything about our circumstances. “It’s not my fault.” I posted about lies we believe about our habits before. We do have a choice. We choose the way we think and live. If we do not choose someone else will make the choice for us. However, making no choice is still a choice. It’s the proverbial ostrich who sticks its head in the sand syndrome. Pretending that if you ignore it, it will go away. We all know how effective that method is. It is when we make the choice and action that we need to change our mindset to a more positive one that our circumstances change. Now, I’m not saying our life will become a bed of roses here. What I’m saying is … on the chart above it explains the type of thinking we employ with each mindset. Look it over closely. 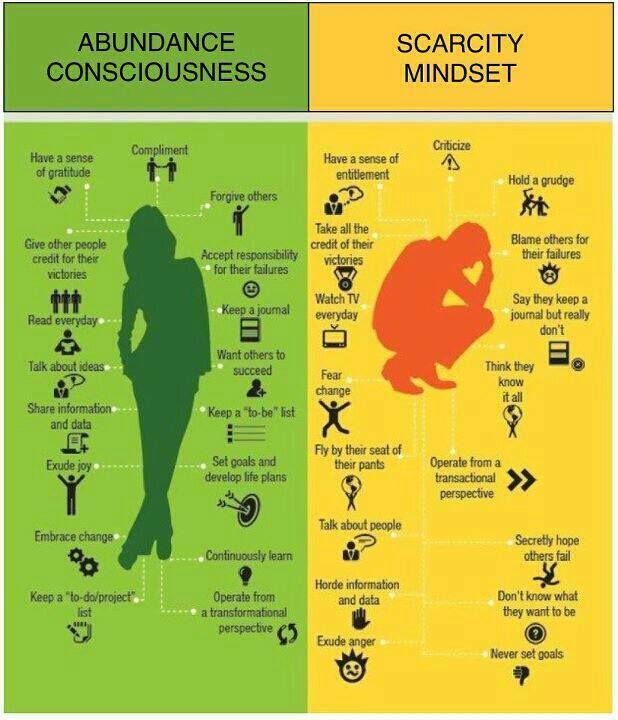 Which mindset are you? We can all use improvements in our mindset. Even I do. I went through a mindset transformation at the end of 2012 and the beginning of 2013. I’m here to tell you that it is mind-blowing. I feel like a total different person afterward. I’ve become more mentally healthy. I’m not anxious and depressed anymore. My whole outlook on life is of a positive nature. Watch for more articles on this subject to begin your mindset transformation and gain a new positive life outlook. This entry was posted in Biblical Life Coach, Mindset and tagged inner voice, Mindset. Bookmark the permalink.